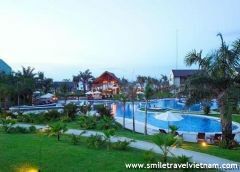 Hoi an trails resort, discount rates at Hoi an trails resort. 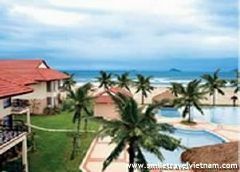 HOI AN TRAILS RESORT is a 4-star Resort, expertly built in six 3-storey complexes and meticulously equipped with international standard facilities and services. The 62 spacious and comfortable rooms and suites, luxuriously decorated and furnished provide you a homey feeling, an ideal home from which to relax. 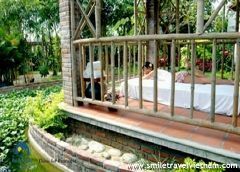 Every room and suite has a panoramic view of either the superbly designed swimming pool and garden full of greens or the rice paddies and the Hoai River across the Cua Dai road. 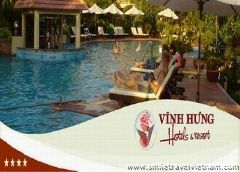 - Easy access to national highway No.1 from Nha Trang in the southern or 150km from Hue in the northern. 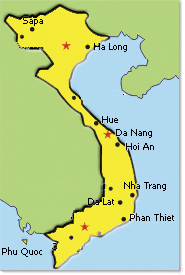 - The famous “Reunification Express” runs along the coast and offers services from Ho Chi Minh city to Ha noi to stop at Danang railway station. 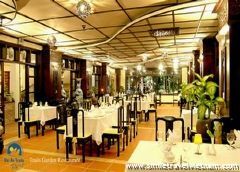 - It takes 45 minutes to drive from Da nang airport or train station to Hoi An Trails. 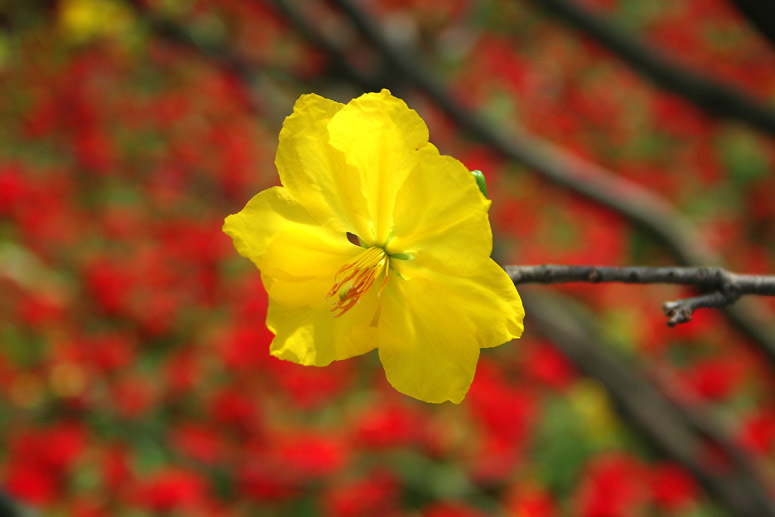 The Superior rooms (36sq.m) are located at the ground and first level of Oleander villa.Traditional Vietnamese or Japanese style. 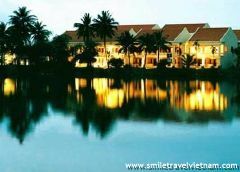 Great views of the coconut grove, swimming pool, rice field, river and the green garden. The Deluxe rooms (48sq.m) are located at the upper level of Bamboo, Tamarind and Sake villas.Traditional Vietnamese or Japanese style. 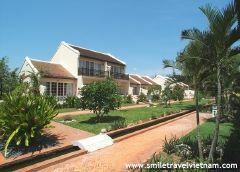 Great views of the coconut grove, swimming pool, rice field , river and the green garden. 52sq.m. Located at the upper level and corners of the Palm villa closed to garden and the river. Large balcony allows for the romantic lighting candle dinner, relaxing in the sundeck. 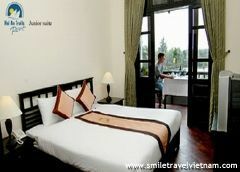 The rooms are furnished with a living area, two bathrooms including bathtub, separate shower and dressing room. All rooms feature the desk with high speed internet connection. (ADSL), IDD telephone, satellite TV, individually controlled air condition, hairdryer, personal in room safe, minibar, tea & coffee making facilities, bathrobes and slippers, smoke detector system. 76sq.m. Located at the upper level and corners of the Palm villa closed to garden and the river. Large balcony allows for the romantic lighting candle dinner, relaxing in the sundeck. 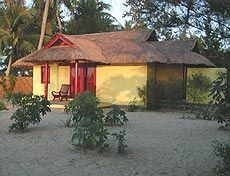 The rooms are furnished with a living area, two bathrooms including bathtub, separate shower and dressing room. Location On the top floor of the building, with the view to beautiful Do river. Concept Refreshment and cocktai. Hours of operation 10:00 AM– 10:00PM, serving coffee, beer , soft drinks. Location: At the swimming pool in the beautiful garden. Concept: Refreshment and cocktail, light meals. serving coffee, beer, soft drink. Hours of operation: 10:00 AM – 10:00 PM. 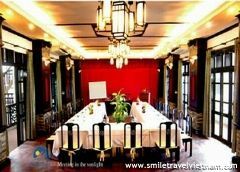 An excellent place to host seminars, celebrations and incentive events. * Equipment: TV/Video, Flipchart, white screen, overhead and LCD projectors, microphone, DVD/VCD player, photocopy, computer, fax. * Coffee break, energizers, theme dinners, cocktail parties. * Complementary : Drink water, writing pad and pen as well as candies.